My over 40 years of fly fishing in Miami has led me to develop my own fishing techniques - some of which may be considered a bit unconventional. I only have a couple of things on my mind when we leave the dock: to find you fish, to provide you with an opportunity to catch them, and to have a good time along the way. 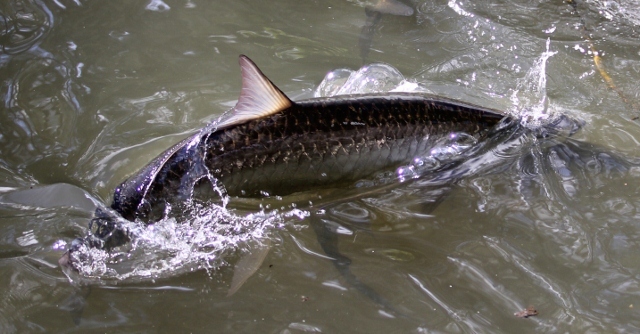 There will be no yelling, no whining on our Miami fly fishing guided trip ...at least not from me. We will be taking a journey into nature and need to enjoy the experience. Not to say there won't be moments of excitement - hopefully there will be plenty of that. We'll be fly fishing in Miami area - either in Everglades National Park or Biscayne Bay using a a trailered 16'6" Silver King flats skiff powered with a 70 hp Yamaha 4 Stroke Outboard and a 22' Loomis Push pole. The boat was designed with fly fishing in mind— there's very little for fly line to catch on and for breezier days, I bring along a line-tamer to keep everything under control. Through my many years in the Florida Everglades and on the flats, I've become intimately familiar with the sea and bird life we'll run across and I am happy to share some of that knowledge with you when we're out on the water. That's also helpful if you bring a long a non-fishing partner - makes the day a lot more interesting for them. There's a lot out there besides the fish - but keep that quiet, less people on the water. My wife has been my Miami fly fishing partner for more years than either of us care to count, so I'm familiar and comfortable with fishing women anglers and I really enjoy their enthusiasm for the sport. I subscribe whole-heartedly to the concept of catch and release and you'll notice I don't have pictures holding big tarpon out of the water on this website.